We offer expert home inspection, radon testing, and water sampling services. ABC Home Inspections provides home inspections to homeowners throughout Greenville, SC and the surrounding area. 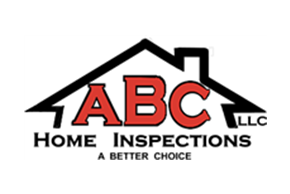 ABC Home Inspections is a local company providing home inspection services throughout the Greenville, SC area. Many of our customers are embarking upon the purchase of a new home, an exciting time for you and your family. A home is a big financial decision, and we understand that you want to make sure your investment is sound. Because of that, ABC Home Inspections provides a comprehensive home inspection that covers all exterior and interior structures and systems in your home. Our home inspection service includes a detailed report on our assessment of your home. We even include digital photos of the areas we inspect. You will be confident that you are moving into your new home with a safe roof and foundations, functioning heating and air conditioning, and an overall assurance that your home is ready for you to move in and get comfortable. As a family business, we are dedicated to the health and safety of your home and family. •	Home Inspections—Our experienced inspector takes a look at your house from bottom to top to ensure that nothing goes uninspected. You know you are getting inspection services you can trust when you choose our locally-owned company! •	Radon Testing—We can quickly perform a radon test right in your home to determine the safety of your air. •	Water Sampling—Make sure your family’s water is safe to drink. ABC Home Inspections will take a sample of your water for laboratory testing. It’s convenient to schedule an appointment and get peace of mind. ABC Home Inspections is licensed and certified. We have been proudly offering high quality work to customers in South Carolina for 20 years! Contact ABC Home Inspections today to schedule an appointment for your property. We offer flexible appointment times to fit your schedule!